If you are a professional woodworker, there is only one place to be this summer. The 2018 International Woodworking Fair will be held August 22-25 at the Georgia World Congress Center in Atlanta, Georgia. 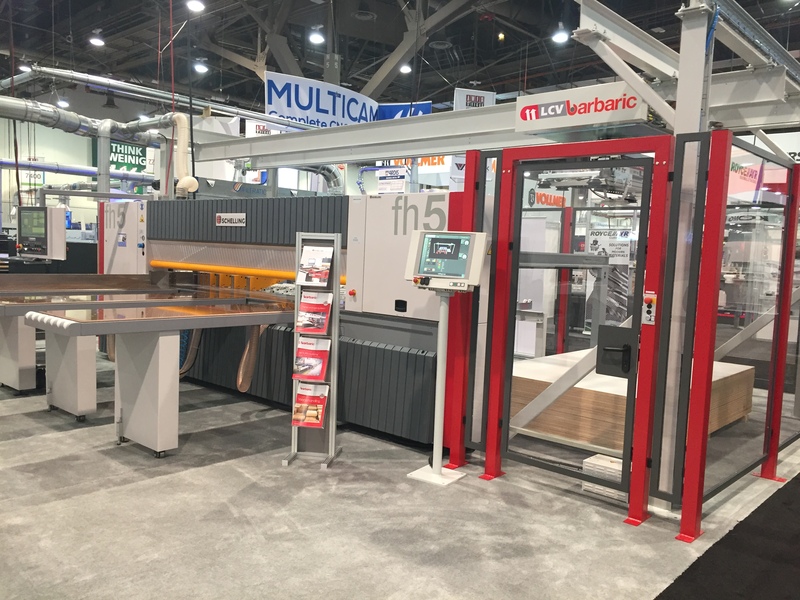 It is the largest North American trade exhibition for cabinet and furniture manufacturing, architectural millwork and other professional woodworking industries. Held every other year, IWF attracts professionals that want to see the latest woodworking machinery on the show floor, learn about technology and best practices at educational seminars, and network with other industry professionals. 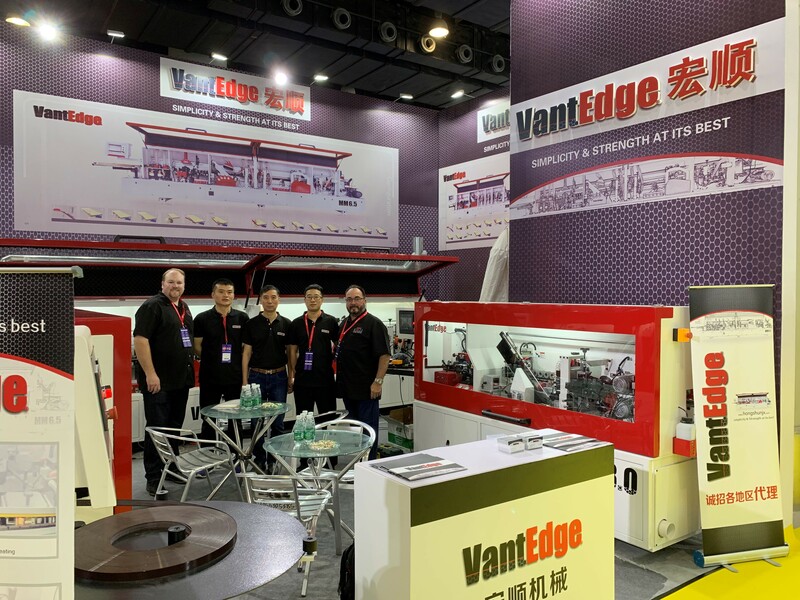 Over four days, attendees will see raw materials, supplies, finishing accessories, material processing, CNC machinery, hardware, software, and more. The 2016 show marked the third consecutive show with growth, drawing 1,080 exhibitors and more than 27,000 in attendance to see 532,565 square feet of exhibit space. Visitors from more than 90 foreign countries and 49 states were among the attendees. “IWF is the largest show for material processing and design in the world for 2018, with over 1,000 exhibitors, including over 200 first-time exhibitors, displaying thousands of new products relative to design and machinery in a footprint of 1 million square feet of exhibit space,” said IWF 2018 show chairman Roberto Ghizzoni, vice president of Omga Industries. Ghizzoni said that IWF is pacing 10 percent ahead of 2016 as the positive industry trend continues and show organizers are expecting more than 30,000 registrants for IWF 2018, compared to 27,260 in 2016, including 17,125 verified buyers that year. “IWF 2018 also offers over 70 educational sessions and 11 full-day symposiums, making IWF the largest educational offering/training in the world,” Ghizzoni said. “The reason industry professionals should attend are numerous. Take advantage of networking opportunities, learn from peers, and meet with supplier experts on site to gain more knowledge. See what the products and the suppliers can do for your business, now and for the future. Attendees at this year’s event will not only see changes at the convention center but also the inside of Hall C for the first time since 2008. For the last 10 years IWF exhibitors have filled Halls A and B but demand for more space has prompted officials to move the event to Halls B and C to accommodate more exhibitors and their requests for larger booths. The move back into Hall C will not only increase the show’s footprint but for the first time since 2008, there will be exhibitors outside the halls and in the B-C connector. Also, it will provide a clear separation of which products are in each building, making IWF 2018 easier to navigate for attendees, Ghizzoni said. The entire GWCC campus is going through a transformation as part of the Georgia World Congress Center Authority’s (GWCCA) 2020 Vision. The first phase of the plan was the construction of the Mercedes Benz stadium. The plan also calls for contiguous exhibit space between buildings B and C at GWCC. During the four-day show there are many educational sessions on business management, manufacturing, marketing and new business sectors. IWF is where industry professionals find the educational opportunities that allow them to help their companies improve products, work more efficiently, expand to new markets and ultimately become more profitable. Manufacturing seminars will cover combustible dust, innovation in composite materials, robots in the small to medium sized shop, and advanced manufacturing processes for managing CAD component designs. Business subjects will include creating a skilled workforce, managing and motivating millennials, working with architects and designers, and pricing for profitability. Go to http://www.iwfatlanta.com for a full list. 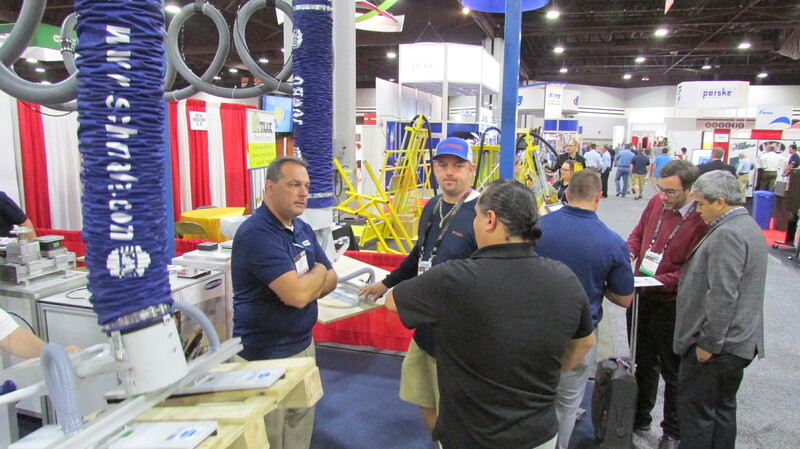 There are also 11 all-day symposiums the day before (August 21) the show exhibits open, including four that FDMC and Woodworking Network are organizing for attendees. The Woodworking Network Leadership Forum will address real world business challenges and successes, emerging technological developments in wood materials and wood construction, new management thought processes, and understanding the new consumer. The Closets Symposium, presented by Closets & Organized Storage Magazine, is dedicated to closet designers, builders, and garage businesses. Speakers and panelists will discuss latest design, color, and material and hardware trends, business opportunities, and offer plenty of audience interaction. Closets sponsor is RSA Solutions. The Finishing Symposium includes a number of presentations and an opportunity to talk to suppliers and finishing experts face-to-face with your questions. 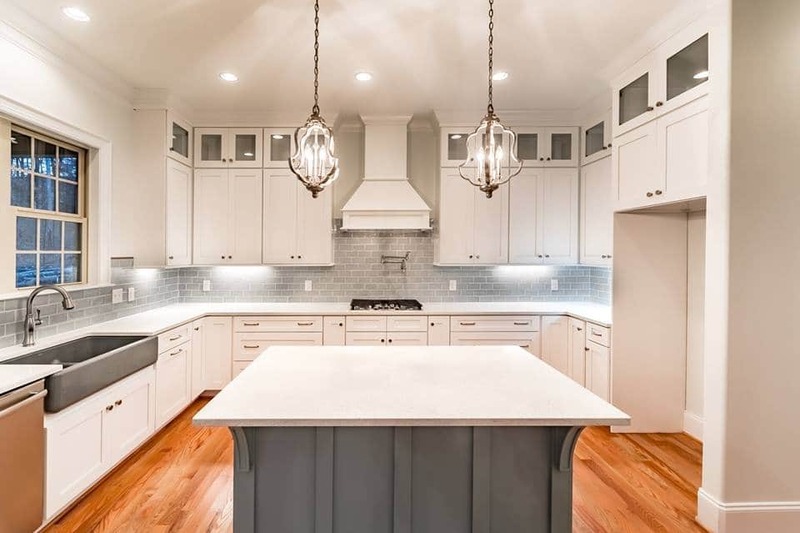 Included in the discussions are descriptions of the characteristics of different finish types, and the pros and cons of each type, and application methods. Finishing sponsors are Milesi, Fuji Spray and Gemini. The CNC Symposium includes a number of presentations and an opportunity to talk to suppliers and CNC experts face-to-face with your questions. The symposium will cover a wide selection of CNC-related topics for beginning to advanced users. Immediately following the symposia and Leadership Forum, all participants will be invited to attend the Woodworking Network 40 under 40 reception, which recognizes the Class of 2018 and alumni. This year’s Challenger’s Award boasted more than 70 entries, proving the commitment to the industry for research and development, from IWF exhibitors (see accompanying story for finalists). IWF will once again feature the Design Emphasis Student Design competition, in which students are given the opportunity to show off their design talents in front of a panel of industry-veteran judges. IWF’s online search and on-site app and show directory will enable attendees to find what they need and discover the unexpected. Ghizzoni said that “Imagine” is the theme for 2018 and the possibilities that we all can “imagine” for our business will become a reality at IWF. IWF is recognized in the tradeshow industry as one of the top 100 shows in North America and has been a Fastest 50 growth winner in 2014 and 2016, according to Tradeshow Executive Magazine and the Tradeshow News Network. IWF is owned and sponsored by the Wood Machinery Manufacturers of America (WMMA) and the Woodworking Machinery Industry Association (WMIA). Look for updates at http://www.woodworkingnetwork.com. You can register in advance at www.iwfatlanta.com. Hours: Wednesday – Friday, 8:30 a.m. - 5:00 p.m. Saturday, 8:30 a.m. – 1:00 p.m.